c) Big Time Rush, aka my third favourite boy band in the whole entire world (behind The Jonas Brothers and One Direction), were going to be there. Upon arrival at Olympic Park, we picked up our media passes and were shown down to the “media wall”, where the performers would come for photo opportunities. I was cool, calm, and collected until I turned a corner and came face to face with the boys from BTR. Remembering I was there as a professional, and not a screaming fan, I managed to breathe deeply and plaster my face with what I imagined to be a smile but was probably more of a crazy-person stare. I was only equipped with an iPhone (note to self: invest in some professional looking camera technology), so I was content to stand back and watch the stars go about their photo ops with the more serious journalists. I was breathing the same air as some of my favourite performers, so I couldn’t exactly complain. After a while, we were taken upstairs to the media room where interviews would be taking place. It was all a bit hectic and rushed, and I realised that as a small time blogger I should step back and let people from real publications do their jobs. So I creepily stared and listened in on their interviews, as you do. The highlight of my day, and I’m pretty sure my brother’s life, was when the PR let us know that we could grab a photo with Big Time Rush if we were really quick about it. I wasn’t expecting much, as the journalists before us literally had five seconds with them, but as soon as the boys saw Jack, they stopped rushing and started talking to him. 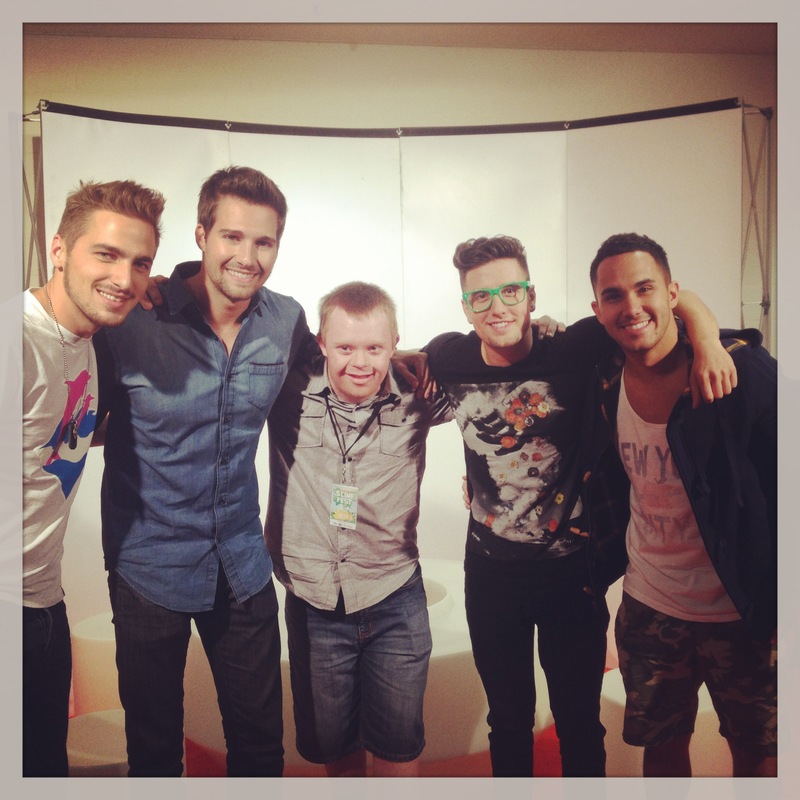 The BTR boys are Jack’s heroes, and so for them to high five him, stop and talk to him, and take photos with him, it was like his every dream had come true. It’s almost been three days, and he still has the biggest smile ever on his face. I didn’t get a photo with them (it was way more special for me to see the smile on Jack’s face), but after they saw me take the photos, the BTR guys made sure to come over and introduce themselves to me. I got to touch Big Time Rush, so I have zero grounds for complaints. I have loved Big Time Rush for a long time, but the way they took time to treat Jack in an extra special way just absolutely cemented my adoration for them. They didn’t have to do anything, but the way they declared, “Oh hey dude, we were hoping you’d come and talk to us” when he walked towards them was so beyond just greeting a fan, I almost cried. After the whirlwind media time, we headed back into the city for a while, and as I am terrible at timing, I made us late for the actual concert. Jack and I stood near the back with the parents, but as the average age of attendees was so young, we could see over everyone’s heads and had a perfect view of the stage. As much as it was my childhood dream to be slimed at a Nickelodeon event, I was wearing one of my favourite dresses and didn’t have any clothes to change into for the train ride home, so I decided it was safer to stay clean. 2012 X-Factor winner Samantha Jade took the stage as we arrived, singing her hit singles “What You’ve Done To Me” and “Fire Starter”, which got everyone in the crowd singing and dancing. The show was hosted by Nickelodeon presenters Luke and Wyatt, and there was an underlying storyline that Commando Steve (from The Biggest Loser) had stolen all of the slime. Throughout the concert, various slime challenges were held featuring celebrity guests (such as Slime Sumo with Reece Mastin and Rhiannon Fish) in order to “win” the slime back off of him. The kids in the audience loved cheering for the celebrities and booing the Commando (even though Jack did the exact opposite – he’s a huge Commando fan). Justice Crew came on next, and did a DJ set complete with the awesome dance moves you’d expect from them. They also performed a mash-up of their hit songs, including a sneak peek of their upcoming single “Everybody”. JadaGrace was the one performer in the concert that I knew nothing about. I had stood next to her in the media room and thought to myself that she had the coolest hair I had ever seen (it’s so curly!!). She’s only fourteen, and absolutely KILLED her performance. Seriously one to look out for in the next few months. 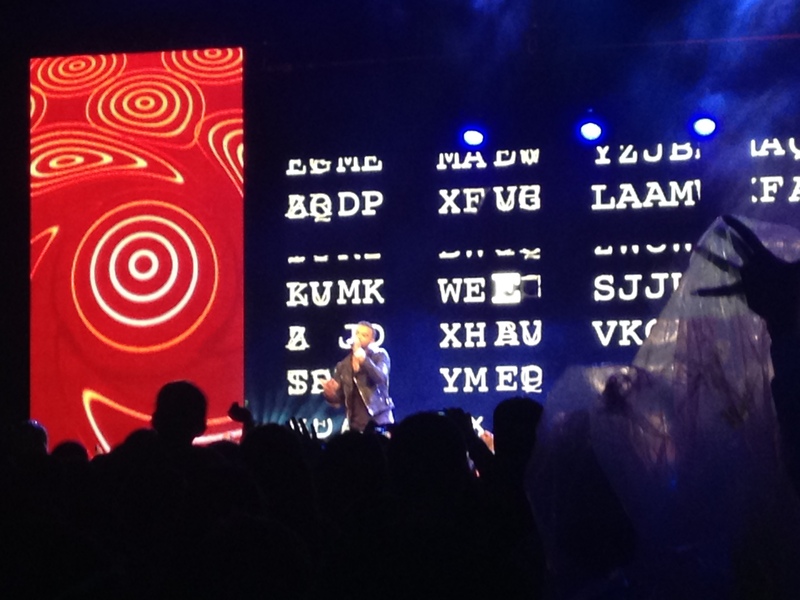 Guy Sebastian performed “Battle Scars” and “Like It Like That”, before introducing the song he had helped write for Nickelodeon’s anti-bullying campaign, “Dare To Be Square”. It was an awesome song, that other stars came out on stage to help him sing. “Squares in the air” to Nickelodeon for the awesome campaign. 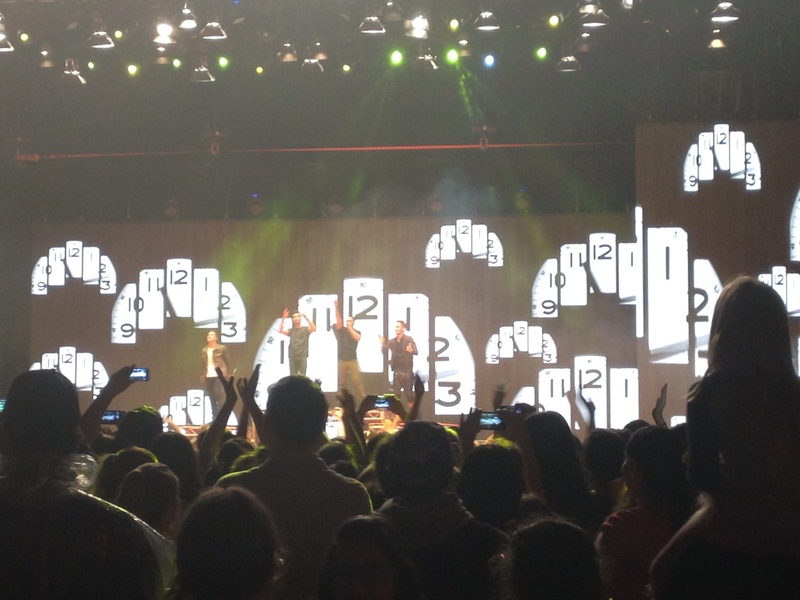 The audience became hysterical when Big Time Rush were announced, and their performance definitely did not disappoint. They sang “Windows Down”, “24/Seven”, and “Confetti Falling” and I may have cried. They were everything you could hope for in a boy band, and were just so much fun. After they finished singing, they disappeared for a second before coming back on stage to be slimed. Their theme song, “Big Time Rush” began to play as the rest of the performers came on stage to be covered in slime, signalling the end of the concert. Slimefest was absolutely brilliant. I ate way too many “slime filled” paddlepops, met some of my heroes, and just had an slimetastic time. Thanks to the brilliant people at Nickelodeon (and Klick PR!) for putting on such a great show, and allowing me to be a part of it. If you missed SlimeFest on Friday, it will be shown tonight, Monday 30th September, on Nickelodeon.